The backdrop for your big day, choosing your wedding venue should be at the top of your wedding to-do-list. It will set the scene for your celebration and will have a huge impact on your winter wedding décor and styling. As a design led wedding planner in London, I’d recommend choosing a wedding venue with a slight edge. 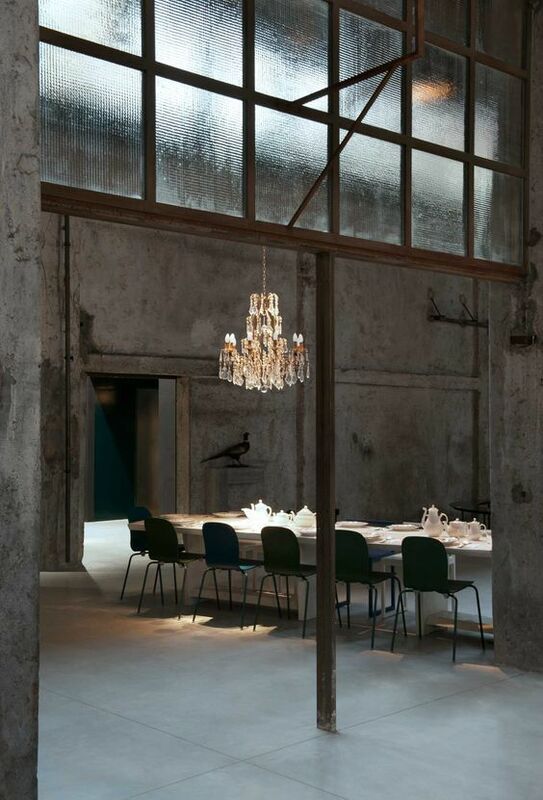 For instance, a weathered industrial warehouse offers a blank space but with a subtle moody vibe that will pair perfectly with seasonal styling. Keep the details and decorations completely modern, you will find the contrast of the venue and décor works beautifully together. For a fashion-forward winter wedding in the city, we suggest that you keep your décor elements luxurious. Opt for crystal chandeliers in your ceremony space or twinkling above the dance-floor. Ensure that you and your guests dine in style with gilded cutlery and matching charger plates. From plush armchairs, vintage sofas or even the Bride & Groom chairs, velvet seating will add a stylish vibe with a hint of cosiness – the perfect addition to any winter wedding. For a nod towards the season, opt for a wedding cake that features textured icing with a modern cake topper that exudes winter elegance. Subtle metallic accents (whether you choose gold for warmth or silver for cooler tones), are always a wonderful match for a winter soirée. We’ve spoken previously about the impact floral styling can have on your wedding day, and as luxury wedding and event planners, we’re always drawn to big, blousy blooms that make a statement. For a winter wedding, we would suggest using an abundance of moody, structured florals that still look ultra-elegant. From the bridal bouquet and buttonholes, to the ceremony décor and centrepieces, they will give your winter wedding a modern yet luxurious touch. Often overlooked, lighting can transform any wedding day – particularly when it comes to this magical season. Suspended chandeliers can be used throughout your wedding venue, whether you hang them above long trestle tables, at the end of your ceremony aisle or above your bar area. Ambient lighting will help to create a warm and welcoming vibe that still maintains the modern feel you want for your winter wedding. Opt for plenty of candlelight, such as tapered candles and gilded candlesticks. Pillar candles can be used along the aisle, placed on window sills amongst floral designs or dotted along a mantelpiece with a floral garland. Just because you’re planning a winter wedding, it doesn’t mean you have to compromise when it comes to your aisle style. Opt for fabrics that fit in flawlessly with the season. We’re talking a wedding dress adorned with delicate guipure lace, bridesmaid gowns boasting exquisite embellished fabrics and accessories that have a subtle sparkle. Planning a modern winter wedding? Looking for a design-led wedding planner? Get in touch with us now…just head over here.